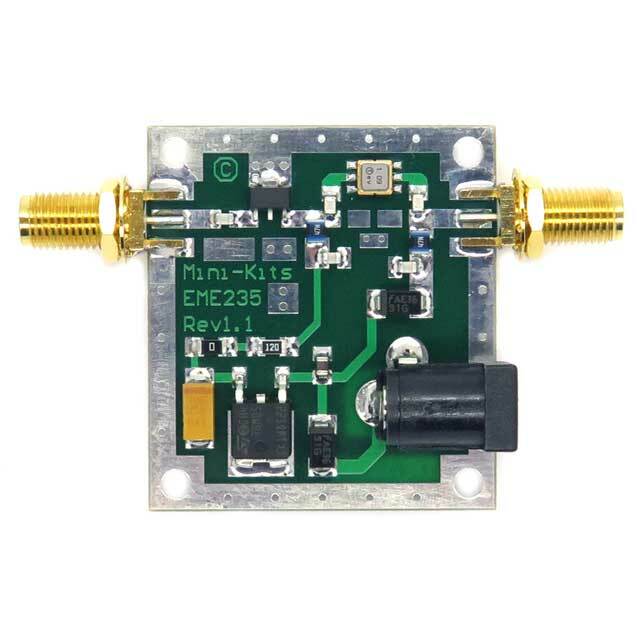 The PGA-103-FLARM-R2 is a high dynamic range low noise wide-band amplifier that is specifically designed for FLARM use on 868MHz. The amplifier incorporates an on board Bias Tee so that power can be fed up the coaxial cable if required to power the amplifier. Please refer to the PGA-103+ Data Sheet for further information. This Product is only available as a built and tested module or in an enclosure and is not available as a Kit. Products include a 2.1mm DC power cable. Please refer to the Options Tab for the descriptions of the various products available. Please Note: Built products usually need to be constructed and can take up to 2 weeks to ship depending on work load, but are normally shipped in a few days.